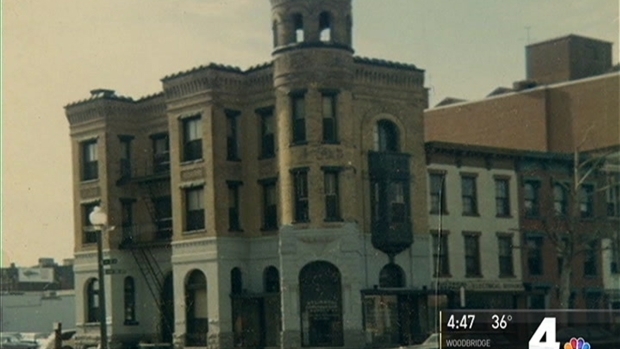 The site of this building Chris Earnshaw photographed 50 years ago is now an empty lot. Polaroids taken by a D.C. man over almost three decades show the vanishing architecture of the city. Chris Earnshaw took thousands of pictures and kept them. Now they are the centerpiece of a new museum exhibit. As a young man in the 1960s, sometimes without a place of his own to live, Earnshaw feared his hometown was losing too much of its character in the name of progress. For almost three decades Chris Earnshaw captured his hometown of Washington, D.C. News4's Mark Segraves takes us back in time through the eyes of a Polaroid camera. A few years ago, Earnshaw met Joseph Mills, another photographer who chronicled D.C. over the same time period. Mills saw something special in Earnshaw’s photos. Mills told Earnshaw he could use modern technology to bring his Polaroids to a mainstream audience. “Well, that’s when he dropped 3,000 Polaroids in my lap,” Mills said. Now, the two men, unique characters with strong personalities who get along like brothers, have their photos as part of the Historical Society of Washington’s District 2 exhibit at the National Building Museum. Earnshaw gives walking tours of downtown, and he and Mills are working on restoring more of Earnshaw’s Polaroids. “Trying to show the new people what was here, what they missed,” Earnshaw said.